Canon Pixma MX700 All-In-One Printer is on sale at BestBuy.ca till Nov-06. While other stores still sell MX700 for the regular price, BestBuy is giving $50 off regular price $179.99. $50 for an all-in-one laser printer — what an amazing deal! Hurry up or the deal will end. Canon Pixma MX700 is an all-in-one laser printer: printer, scanner, and copier. From the review of Canon Pixma MX700, it is highly recommended and good comments. This printer has fast print and copy speeds, excellent print and scan quality. Canon Pixma MX700 All-In-One Printer is one of the strongest multifunction packages. It stuffs a lot of functions into a fairly user-friendly package and offers scads of software to help you along. 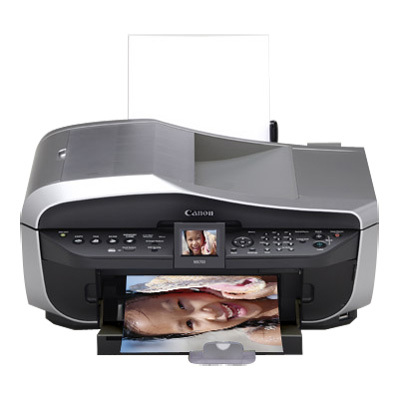 Canon Pixma MX700 All-In-One Printer uses a four-link system with individual ink tanks. The black PGI-5 is a pigment-based ink, ideal for text prints. 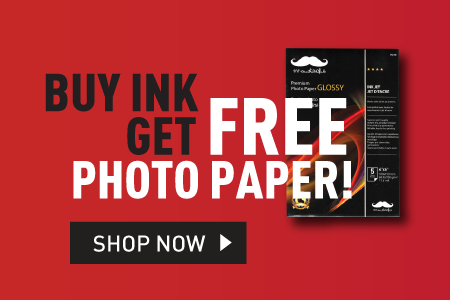 The three colour inks CLI-8 are dye-based, better suited for graphics and photos. At 123ink.ca, we offer you one of our best selling compatible ink cartridges – Canon value pack (include PGI-5BK and CLI-8C/M/Y) with a low price starting from $13.59. We have two types of a value pack, one is with the chip, and the other one is without the chip. No chip means that you need to replace the chips from the original PGI-5BK or CLI-8 series ink cartridges to the new compatible ones. With chip means that you just install ink cartridges as easy as originals. From our sales experience, the ink cartridges with the chip are much better and more convenience than without chip ones. The quality of PGI-5BK (wich chip) and CLI-8 (with chip) is tested by hundreds of our clients; we never hear any complaint and return from them. PGI-5BK and CLI-8 ink cartridges are not only compatible with Canon models like Pixma MX700, Pixma IP3300, but also with Pixma MP510, Pixma IP3500, etc. Click here to shop Canon Pixma MX700 ink cartridges from us.